Posted on Wednesday, January 23rd, 2019 in Custom Design, Informational, Precious Metals, Uncategorized, Wedding Bands. 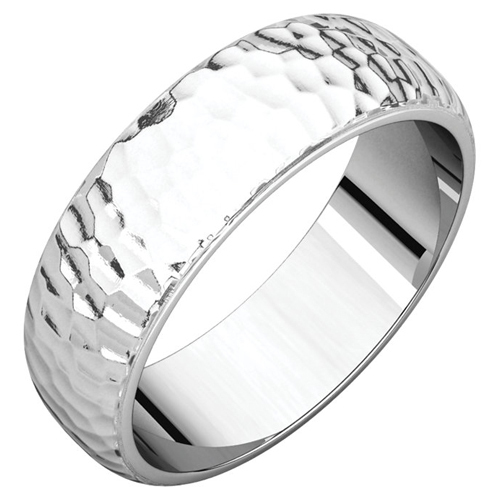 Matte: A non-reflective finish most suitable for those looking to avoid shinny jewelry. Florentine: Consists of a series of very thin parallel lines that run in opposite directions of one another. Glass Blast: A texture that creates the appearance of hundreds of minuscule dimples on the surface. Hammered: A unique handcrafted look that gives off the appearance of being struck with a hammer. Ice: Resembles that of a skated-over ice rink. Satin: A brushed finish that is smooth to the touch. It is similar to a matte finish but unlike matte, has visible brushed lines. Stone: Features a unique, stone-like textured look. If you have any questions regarding the different types of jewelry finishes or would like to schedule an appointment to discuss all of your wedding band options, contact Kloiber Jewelers at 414-276-2457 or info@kloiberjewelers.com.